Tony was a Navy Rescue Swimmer right out of High School. His “at the time” girlfriend’s parents owned a pet grooming company and on Saturdays when he was home, they told him, “you have two options, stay home and clean the house or go to the shop and bathe dogs.” I think it is pretty clear as to what Tony’s decision was. Tony bought Head to Tail in 1992 at the young age of 22. 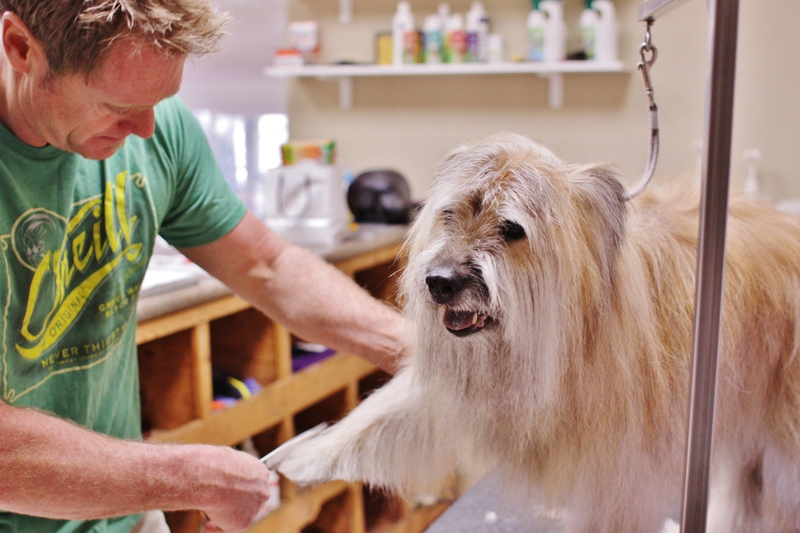 He has now spent over half of his life grooming dogs. 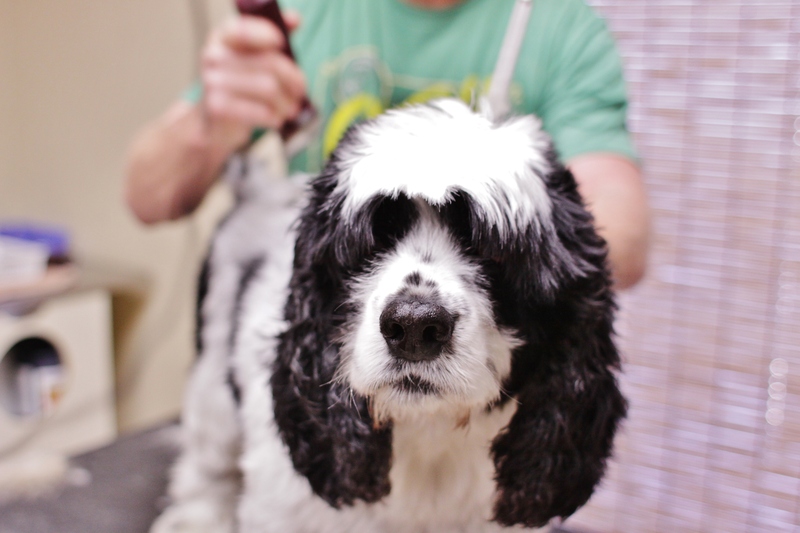 Tony states, “It is better to love a clean dog than a dirty dog!” He has been in the business since 1989 where he first worked for a shop that groomed 100 dogs a day. 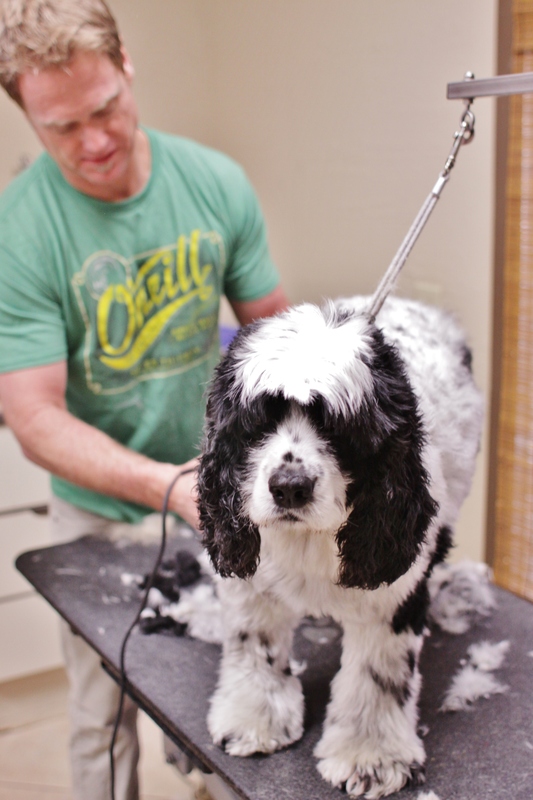 Currently he has three employees, Shane, Noreen and Leslie (Master Groomer), and he has been in his current shop since 2004. Combined there is a total of 70 years experience! I had a chance to talk to one of Tony’s longest customers while I was interviewing him. 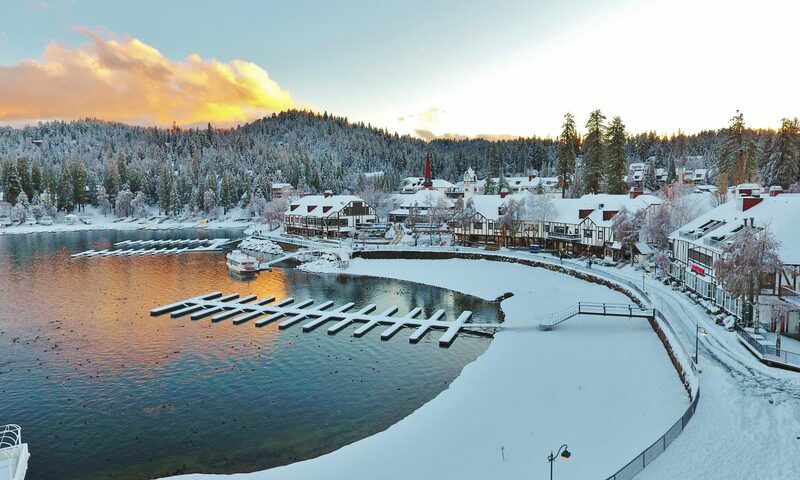 Cherie Radley said, “Tony is the best groomer on the mountain, I have been coming to him for 22 years.” She says, her dogs get excited to see Tony, and it is his service that keeps her coming back! 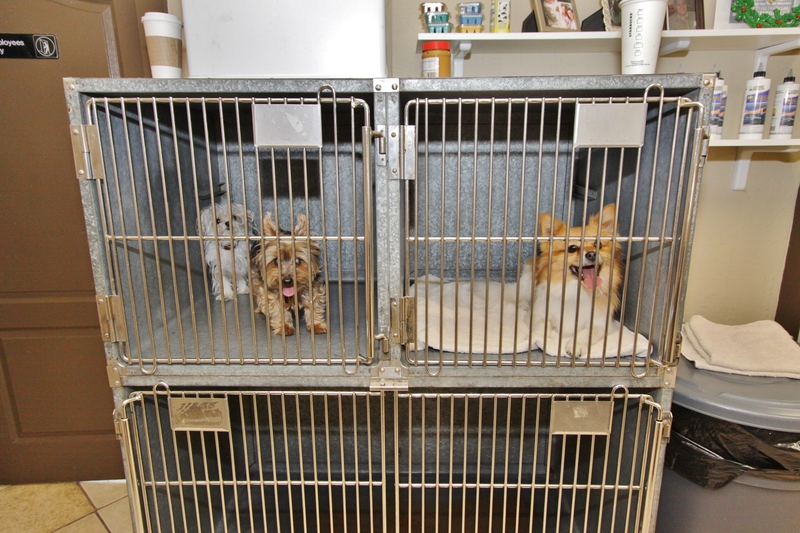 On average Tony grooms 25-30 dogs a day… Okay, I don’t know about you, but that’s pretty impressive. The shop is open from 8-5 Tuesday through Saturday. When I asked Tony about making an appointment, he says it is not really necessary, although you can make one he states, but this is one of the things that makes him so great, he will not turn down a customer. If you call that day, he will say, “yah bring him/her in, in about 30 minutes (or a specific time).” For Tony his business is all about the customer and the service! HAHA! This picture (above) cracks me up. There is so much hair flying around in the wash and dry area, that the dryers come in handy! 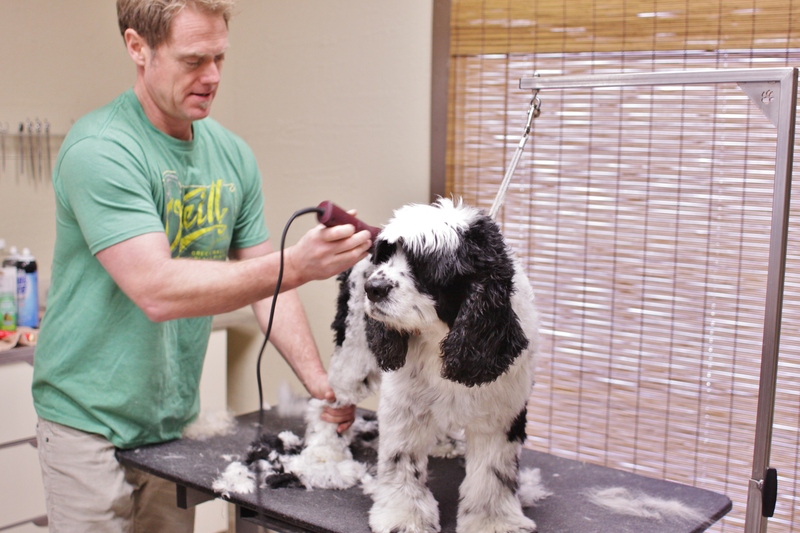 When it comes to pricing, each dog is priced different, and although some may say he is more expensive than other groomers, it is Tony’s service and ability to get your dog in and out quick! Also there is NO cage drying done at Head to Tail. Your service will include; Wash, Cut, Nails, Pads, Ears, and Annal Glands (gulp, eww). 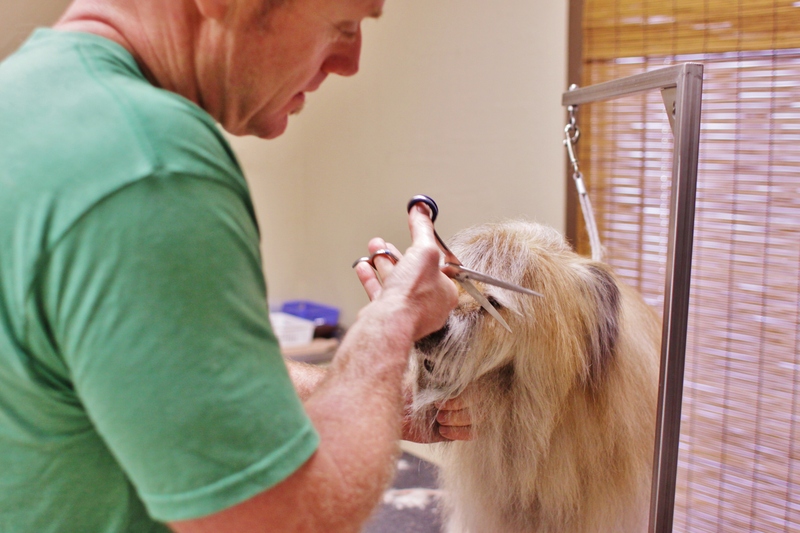 All it takes is one trip in to Head to Tail and you will see just how great this Grooming shop is. The Service, the personal touch and the friendships. Tony may not remember your name but if you tell him that Lassie is coming in, he knows exactly who you are, and he says he will see you soon! I had fun chatting with Tony and watching him in action, although I know I held him back a little on time, I am thrilled that he took the time to tell me his story. Tony, I think you are such a great person and you have touched so many lives over the years. Keep on keeping with your energetic and happy self! I wish you many more years of continued success. 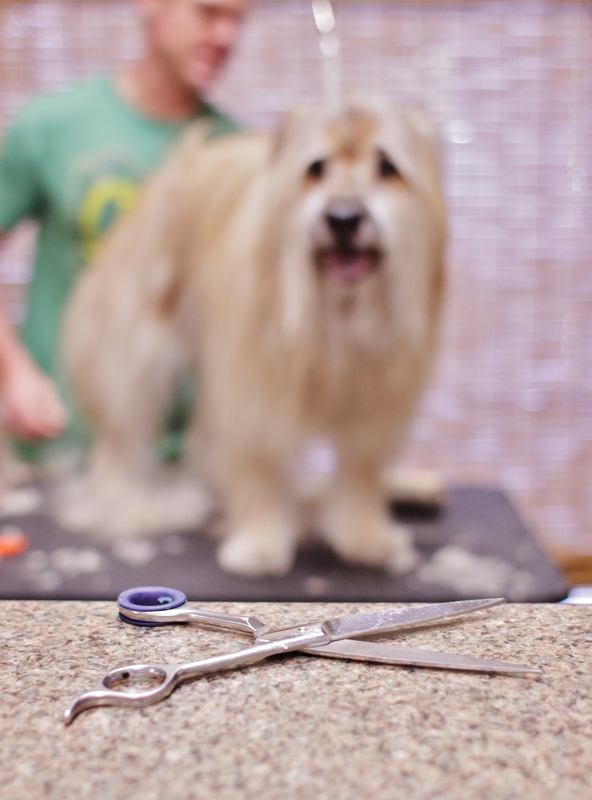 Thank you for your grooming shop and what you do for the community! I’d also like to give a thanks to the pups in the pictures 😉 Can you tell they were thrilled to be on camera! Email me at: michelle@michellecalkinsrealtor.com for blog ideas!